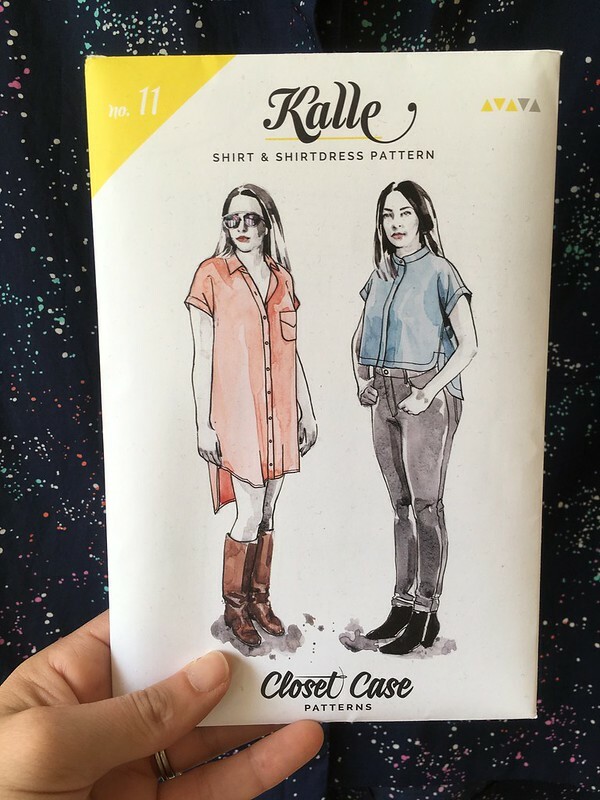 It may not be the best for cool fall temperatures, but I love my new Kalle Shirt from Closet Case Patterns. 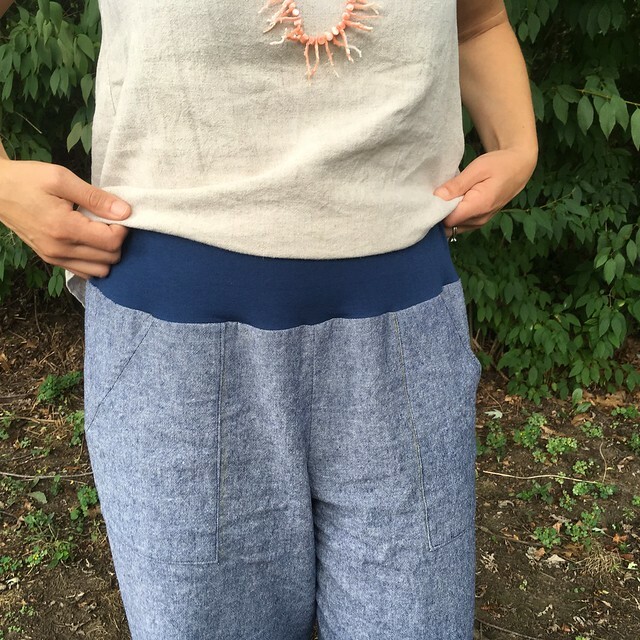 I made myself a little batch of sewing projects to transition from summer to fall, which seemed like a good idea when it was still warm. It seems like less of a good idea now that it’s cooling off, but I’m committed! And I have no regrets when it comes to this shirt. I love it. I have a little confession to make, though. 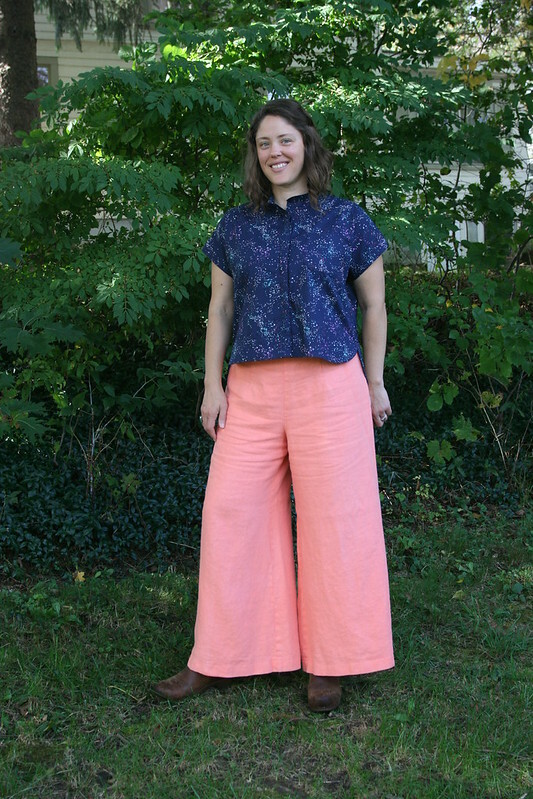 When I was trying to figure out what to wear the shirt with, I fell for the color combination of these thrifted pants with the shirt. In my mind, this outfit was going to be AWESOME and would take the sewing and fashion world by storm! Hahahaha! 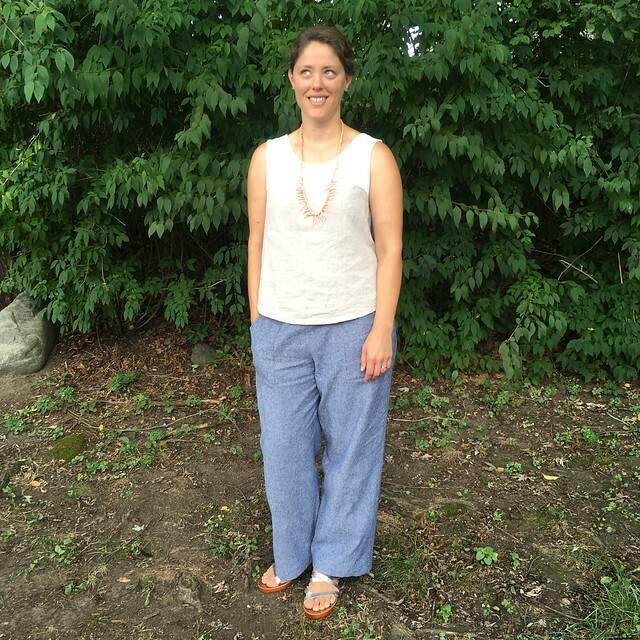 It’s sort of a silly outfit with the wide shirt and wide pants and makes me look a little pregnant (I’m not), so THAT didn’t turn out quite like I planned, but these pictures took a long time to take, and there’s no turning back now, so here we are. 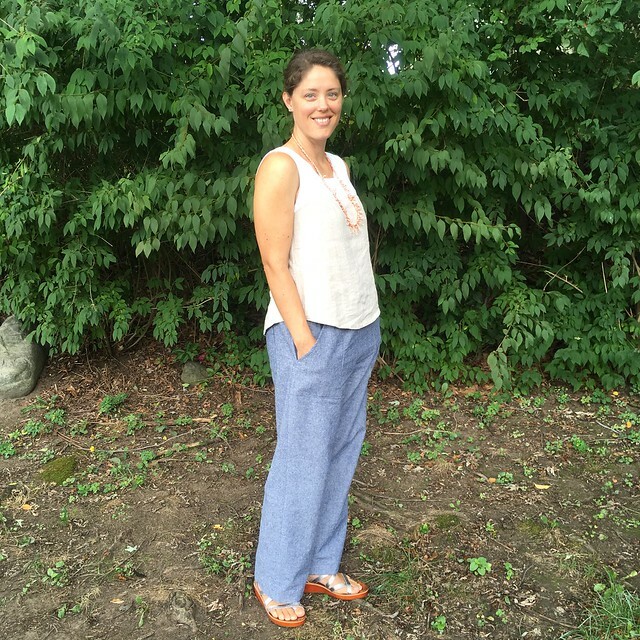 I suppose I ought to know better–most of my worst fashion moments come when I think I look super amazing. A bit of “Pride goeth before a fall”? 😉 OR, on the flip side, “You have to risk big to win big”? Haha. Whatever! Here we go! 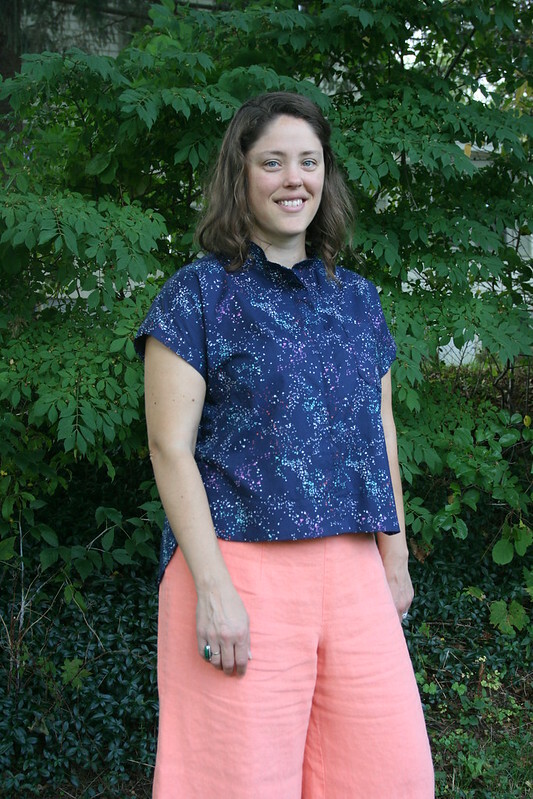 Despite the calendar saying October, two days after I finished sewing this shirt, we had 80 degree (Fahrenheit) weather, which is nice and warm, and I got to wear it to work with my sparkly linen shorts. Perfect! 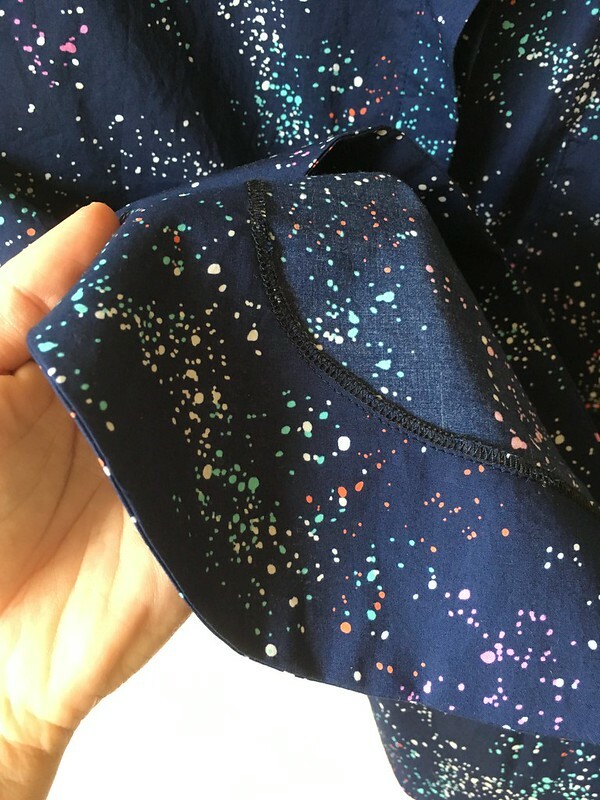 Part of what I love so much about this project is the fabric it’s made from. My first plan was to cut up a linen tablecloth I have but don’t love. 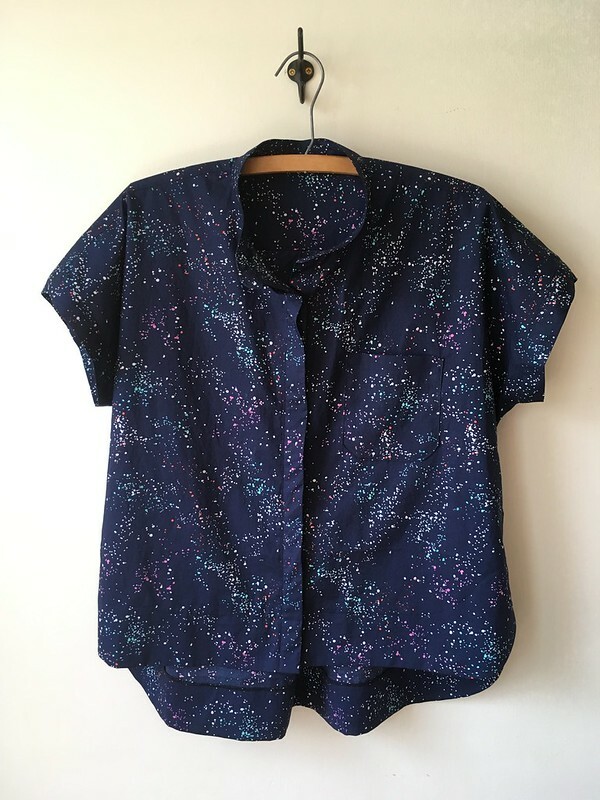 I had been thinking about repurposing that tablecloth for a while, and then I saw Linda’s shirt over on her blog, Elle Gee Makes, and it was just the push I needed to actually do it. 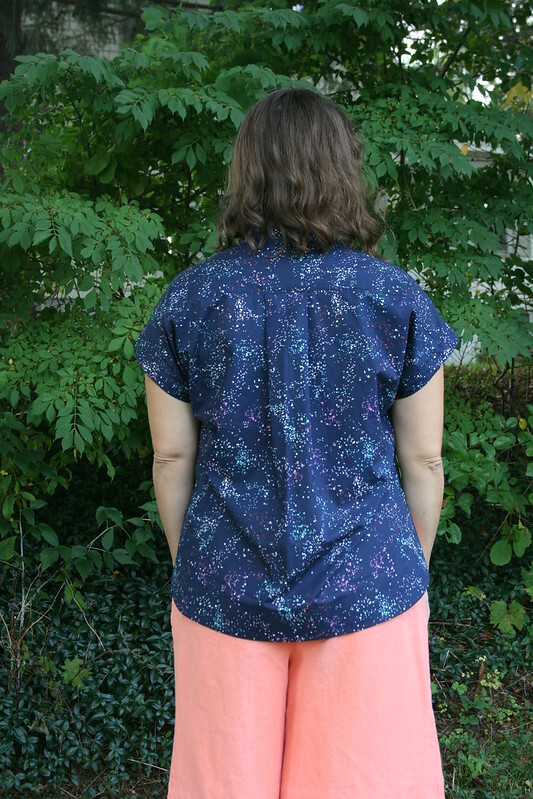 Unfortunately, no matter how much pattern and fabric puzzle-piecing I did, the shirt just wasn’t going to fit on the available fabric. So, I turned to my stash. That’s when I saw this speckled Cotton + Steel lawn, a part of Rashida Coleman-Hale’s “Mochi” collection. 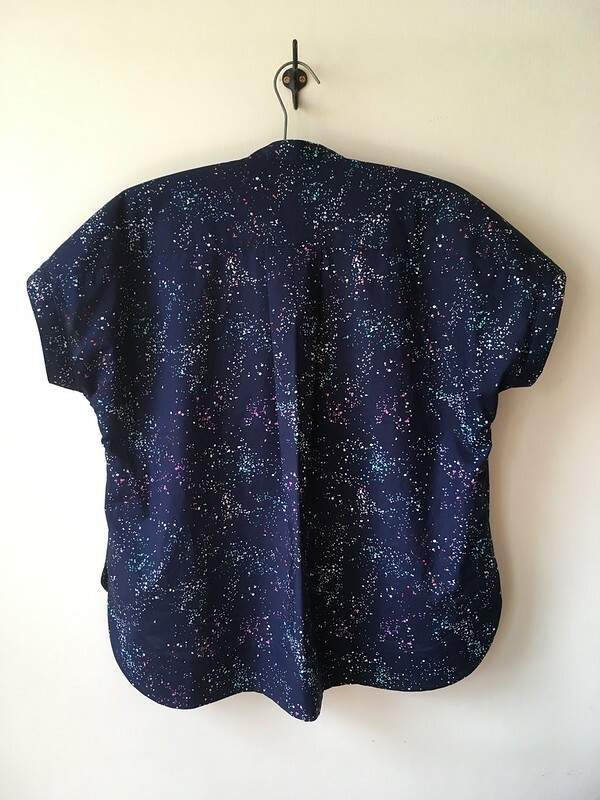 I had originally purchased this fabric from Pintuck & Purl to sew up a shirt pattern from the 1980’s, but I reassigned it to the Kalle. It’s such a great fabric with so many different colors. Also, I loved splatter paint designs as a kid, so there’s that. 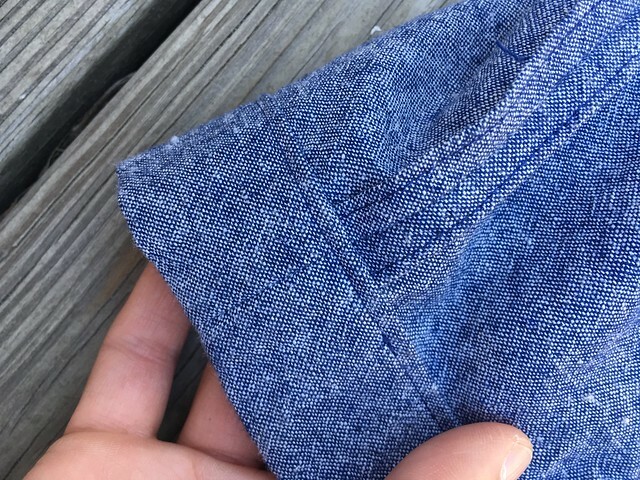 😉 If you aren’t familiar with lawn, it’s a smooth, plain-woven fabric that is great for making shirts from. 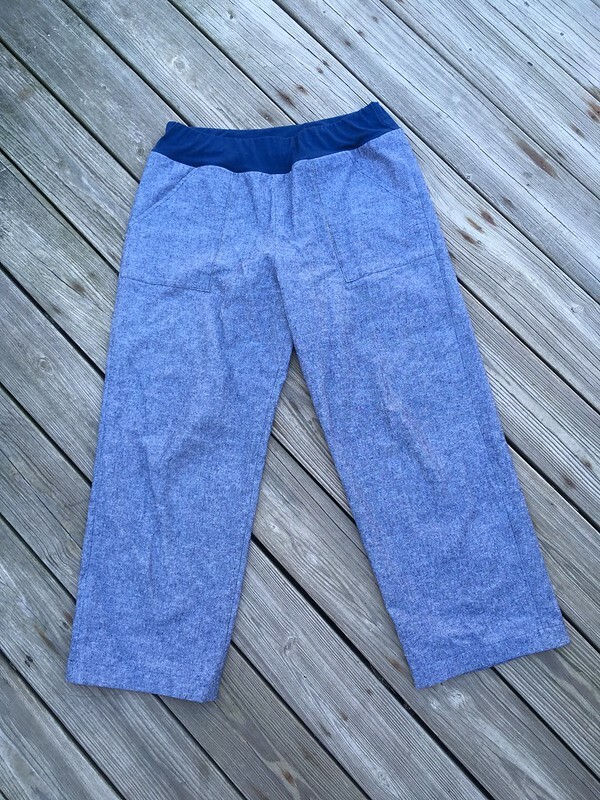 It feels finer and thinner than most quilting cotton and is crisp rather than drapey. This particular one is made from cotton. Let’s talk design details. 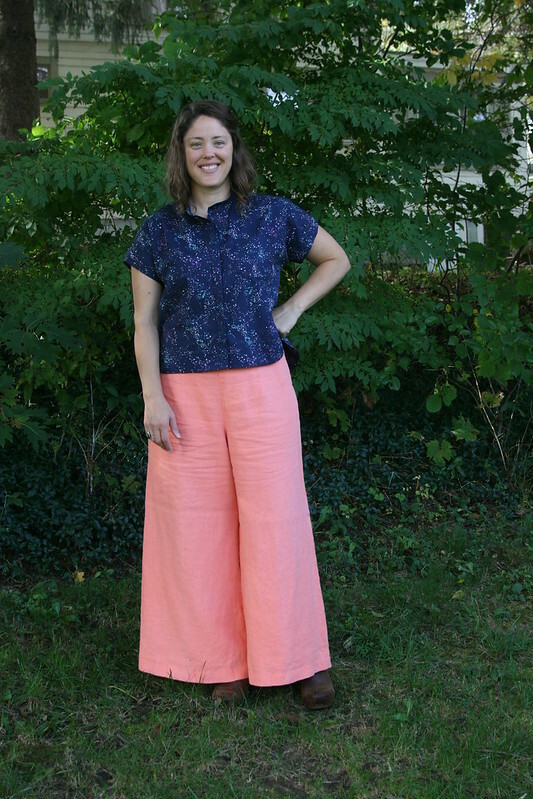 This pattern has a lot of options with three lengths and different collar, back pleat, and button placket options. You can even optionally buy a PDF pattern for long sleeves. 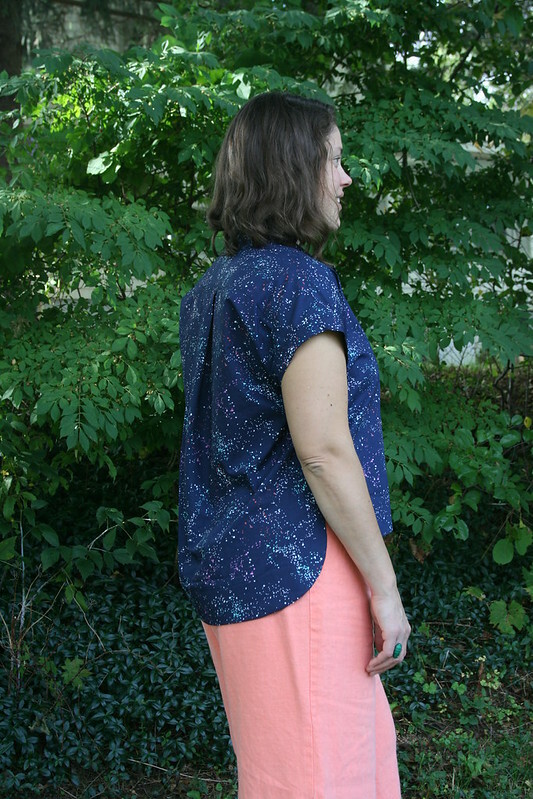 I chose the cropped shirt (View A), which I lengthened by three inches, in a straight size 14. 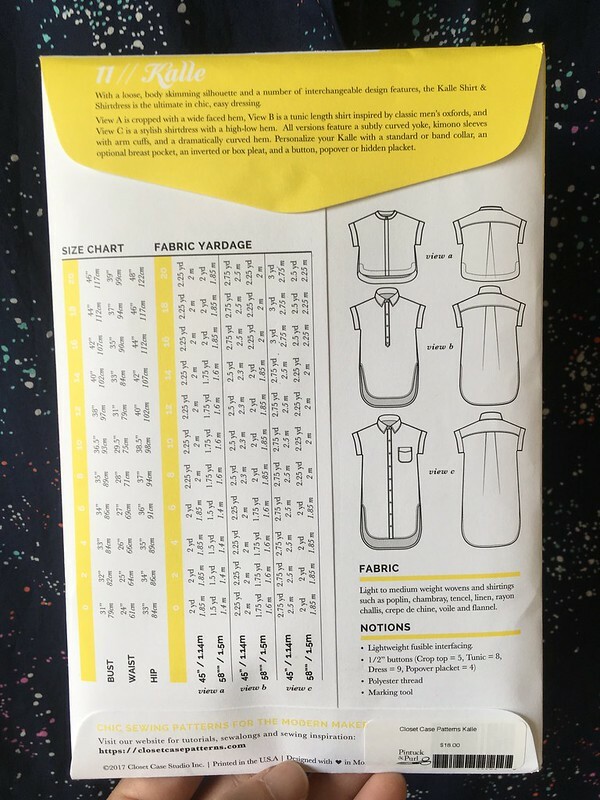 My measurements would put me in a 12 bust, 14/16 waist and 16 hip, so I guess I chose the 14 to split the difference and avoid having to grade between sizes, even though that’s what I usually do. I’m happy with how this turned out, though, so I think it was a fine choice. 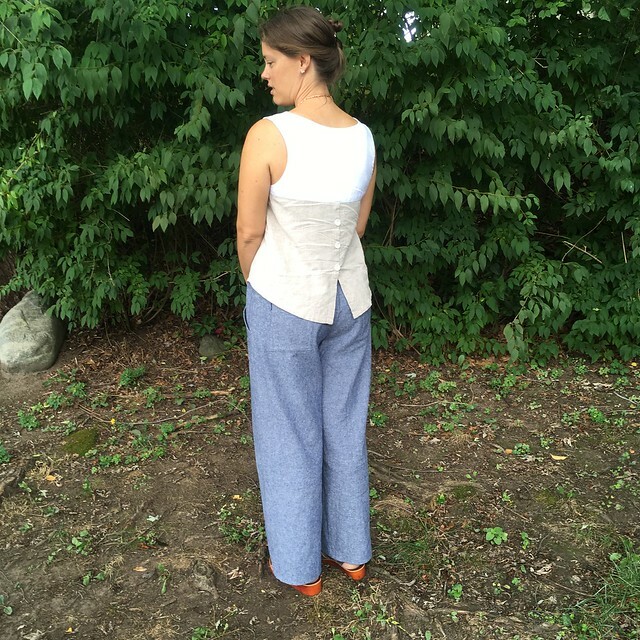 As for the other options, I chose the band collar, back box pleat, and hidden button placket. 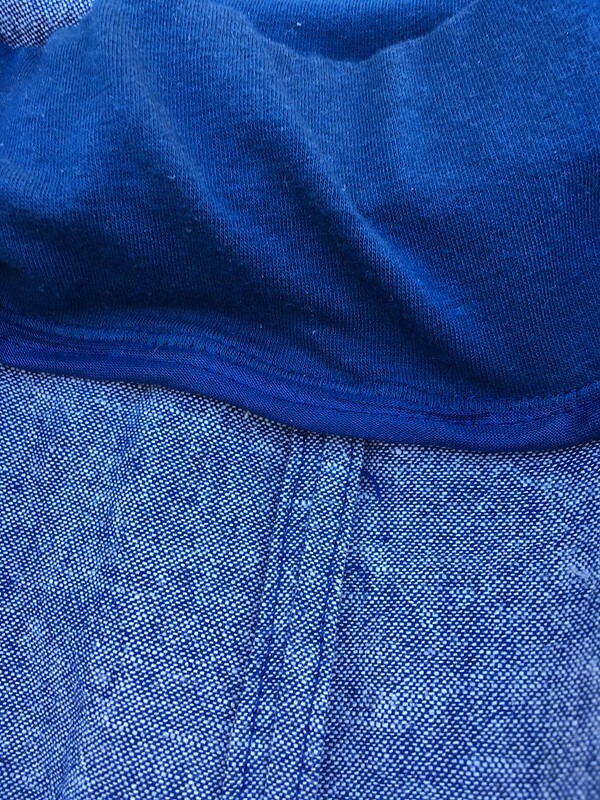 One bonus: the relaxed fit of this shirt meant that I didn’t have to do a broad back adjustment. That’s rare for me. 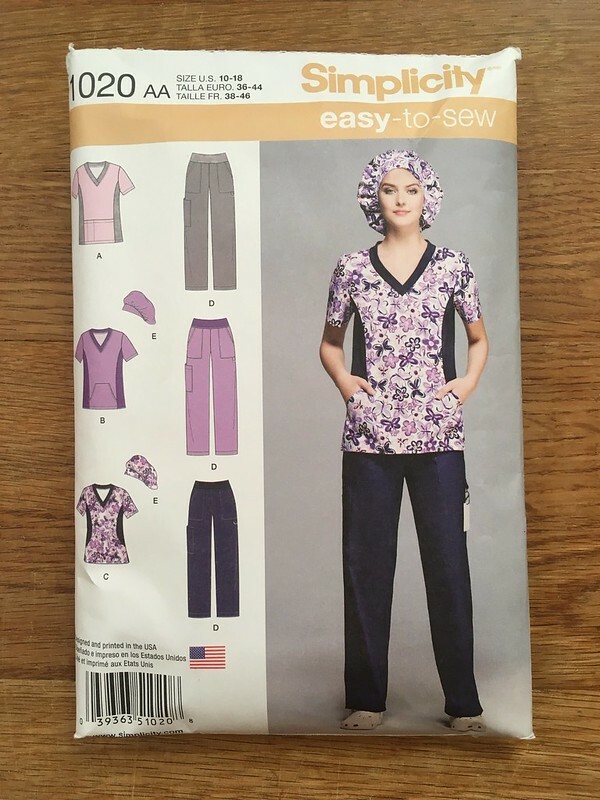 I did have several moments of confusion while sewing this pattern. Unlike some patterns, however, I could tell that this was because I was learning new techniques, not because the instructions were bad. 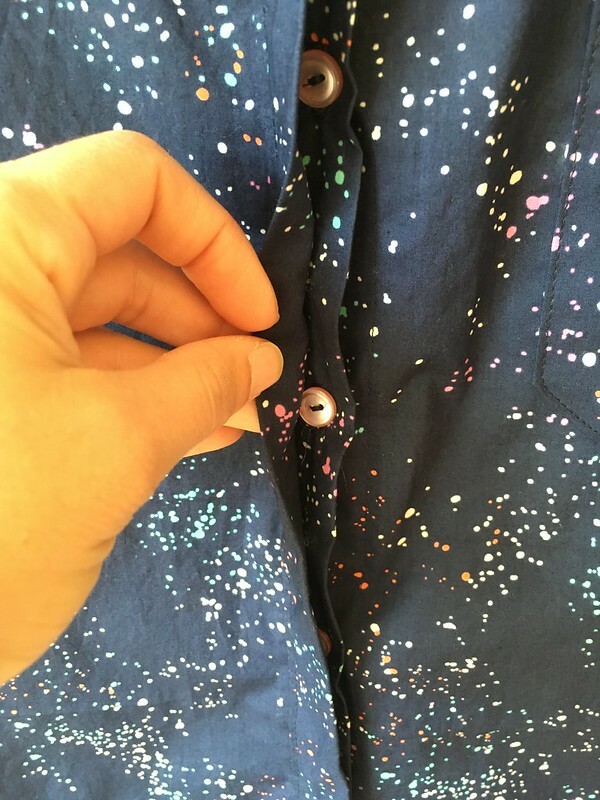 This was my first hidden placket, for instance, and I sewed my buttonholes through only one layer of fabric instead of two at first. Luckily, I figured it out and managed to fix it, so all was good. 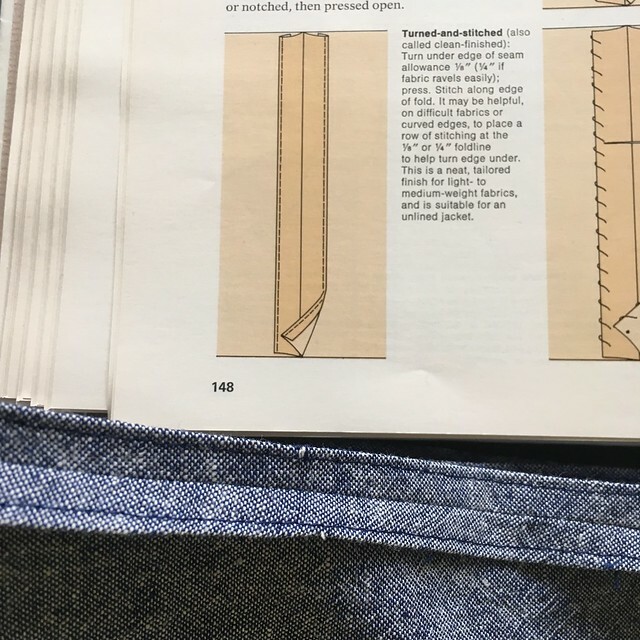 After sewing the side seams, there is a suggestion that you could flat fell the seams. 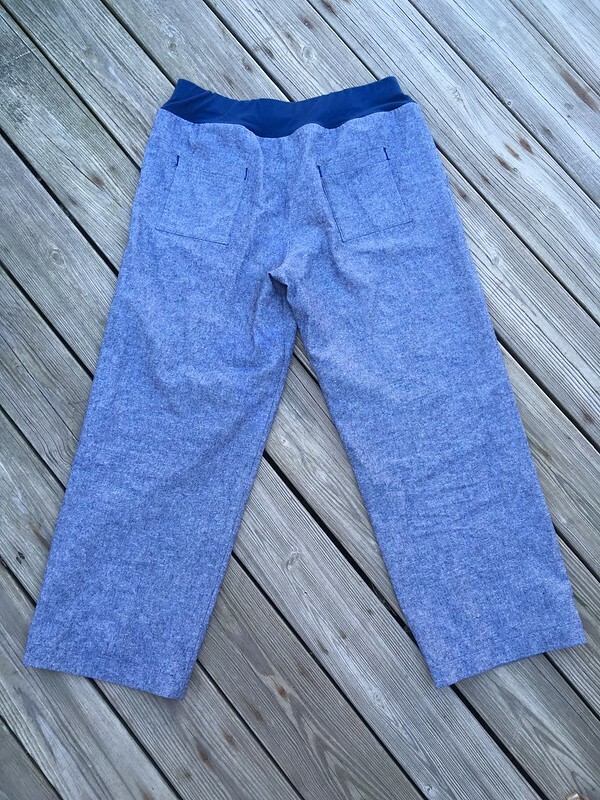 If you want to do this, you would have to change things up a bit since flat felled seams are typically made on the outside–or you could just make them on the inside. I chose to serge my seams because I’m still trying to get used to my serger and one of my goals is to actually USE it. So far I only have black and white serger thread, so I used black here (as you can see below). When it came to attaching the facing, rather than topstitching it into place, I just made sure my top thread and bobbin thread were the same color and I stitched from the underside to make sure I was catching everything. Unlike my normal practice, I didn’t choose contrasting thread for topstitching–I just used navy throughout, which hides a lot of mistakes! The only other area I got confused on was attaching the sleeve cuffs. I think the instructions could be a little bit clearer in this area. I was very confused, so I turned to the sewalong online, which differs from the instructions after the second point. 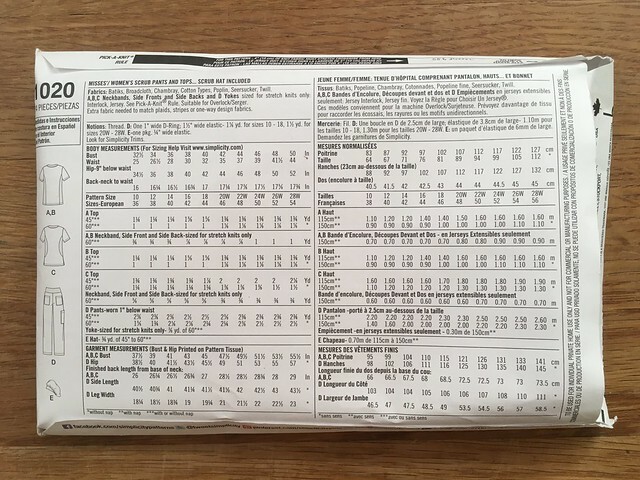 I found that easier to follow, so I printed the information off and put it in my instruction booklet for the next time I make this. And I do hope to make this again at some point. 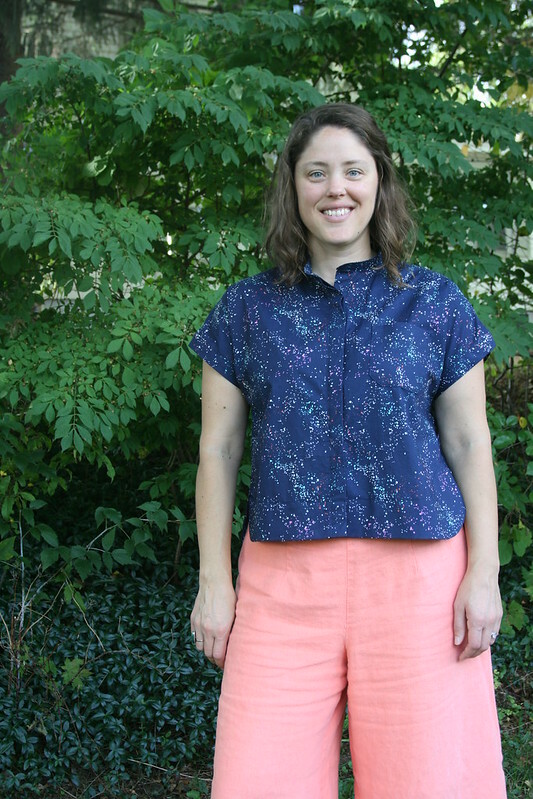 I’m interested in trying the tunic length with the popover placket. It will have to wait until at least next year, though, as I really like the look of the short sleeves, and would want to do that again. Even though the weather is turning cold now, I’m really glad I got this in. 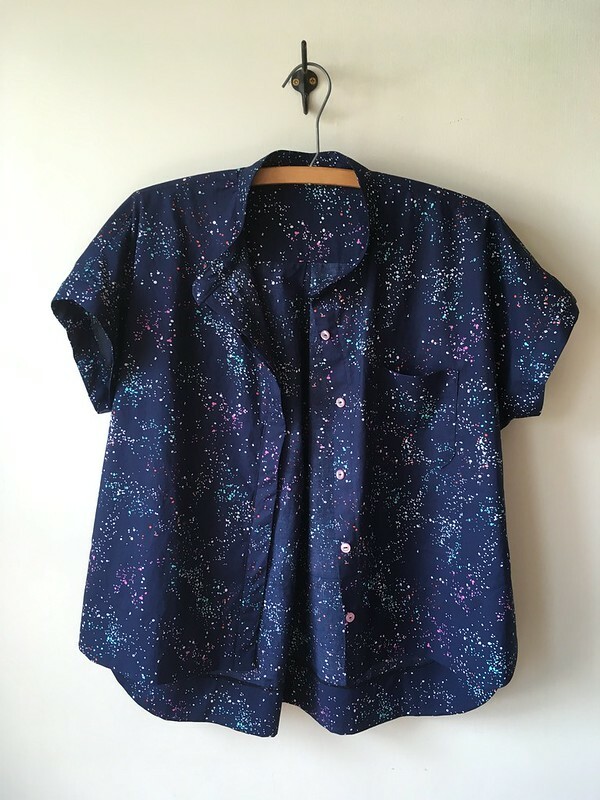 I love this shirt in this fabric, and I’m excited to wear it.